Tungsten is a very hard, brittle, silvery heavy metal with a very high melting point. Its most famous application is as filament in light bulbs. More often used than pure tungsten is tungsten carbide, WC, which is a very hard and mechanically enduring ceramic material. This is used for drills, milling machines and even for jewelry. Tungsten carbide is much cheaper than the related carbides of hafnium and tantalum. Some bacteria use tungsten in enzymes, which makes it the element with the highest number that has a biological role. 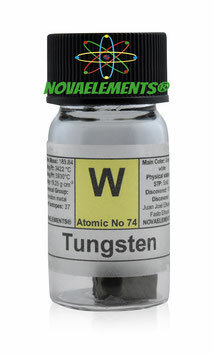 High purity Tungsten metal pieces in glass vial with label, 5 grams sample 99,99%. Pure element 74 sample. Incredible rare tungsten metal piece with 6% of Thorium metal content. It is a little radioactive sample. 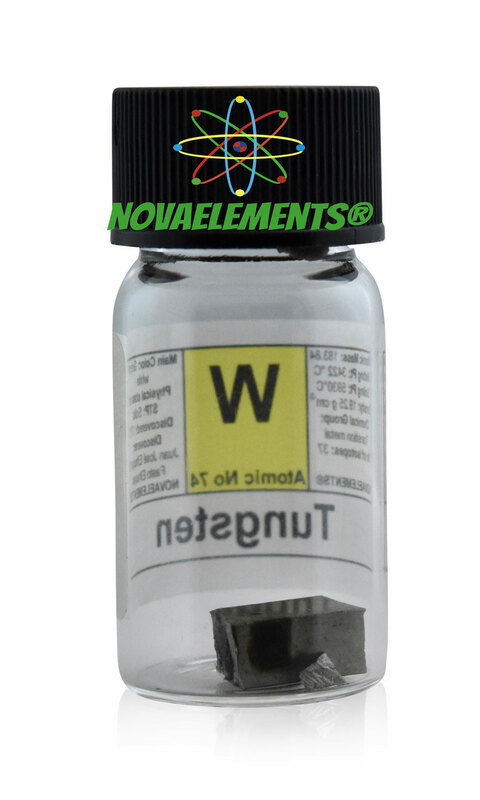 Weight: 2 grams in glass vial with label of W.
You will find this specimen only from us. 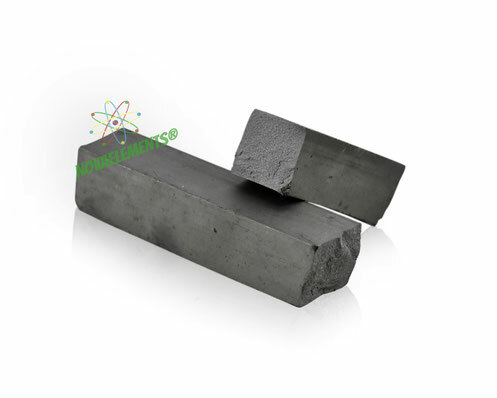 High purity Tungsten metal rod 99.95%, pure element 74 W sample.